For those that have Hashimoto's disease, you know what I am talking about but I also want to define this for those that are not familiar with Hashimoto's. Hashimoto's disease is an autoimmune condition that is recognized by a high level of thyroid peroxidase as measured in your blood that will manifest as your immune system actually attacks your thyroid tissue. This attack on the tissue will often lead to thyroid hormone imbalances that will most often be treated by taking thyroid hormones. The problem with this though is that the real problem is not being addressed and this real problem is the autoimmune condition itself. The Mayo clinic defines Hahimoto's disease as "a condition in which your immune system attacks your thyroid, a small gland at the base of your neck below your Adam's apple. The thyroid gland is part of your endocrine system, which produces hormones that coordinate many of your body's activities. The resulting inflammation from Hashimoto's disease, also known as chronic lymphocytic thyroiditis, often leads to an underactive thyroid gland (hypothyroidism). 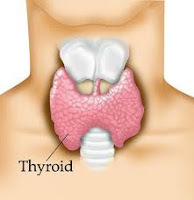 Hashimoto's disease is the most common cause of hypothyroidism in the United States. It primarily affects middle-aged women but also can occur in men and women of any age and in children." Now in fairness to conventional doctors, there is no drug that you can take to overcome Hashimoto's disease. The typical drug of choice is to recommend a synthetic form of thyroid hormone. As mentioned above though, this does not treat the problem, it only treats the symptom. To take this one step further, the use of the synthetic thyroid hormone typically only provides very short term results if any at all. This is sad but true. When we look at Hashimoto's from a holistic perspective there are actually very viable options. I have personally seen clients with thyroid peroxidase levels near 100, above 300 and even above 500 actually find themselves in normal ranges and even falling below 10. Recognize that normal is typically viewed as less than 35. So if you find yourself diagnosed with Hashimoto's, what can you do? First off, get to the core. Recognize this for what it is, an autoimmune condition. So the core is autoimmunity right? Not so fast, we still have to get to the core of the autoimmunity of course. Let's lay out the steps to address Hashimoto's, to allow your body to find its balance while understanding that there are many steps to take. Note, you do not want to miss any of these. Address your fundamentals of health. Yes, the simple things, so simple that most ignore these on a regular basis. Deep breathing, proper hydration, proper nutrition, healthy sleep cycles, movement, healthy bowel movements (2 or more per day), vertebrae integrity, proper exposure to the sun and reducing stress and learning healthy ways to deal with stress and release suppressed emotions. If you would like to receive a complimentary 4 part video series on the fundamentals of health, please visit our home page at www.DepkeWellness.com. Assess your food intolerance and eliminate these foods. If you are eating a food that is inflaming your gut, you will not escape autoimmunity. It is that simple. It is essential to test for these foods and I recommend both a Cyrex Labs Array #4 and the ImmunoLabs Bloodprint154. The two of these combined will provide you with the information you need. If the testing does not work into your budget, I would recommend Lyn-Genet's book "The Plan" and following her protocols in this book. Click here to order your copy of The New York Times bestseller The Plan on Amazon! Assess adrenal function and assist the body in resetting the HPA axis. This is such a significant key and honestly, the one area that is so often overlooked or not addressed properly. While many practitioners test for adrenal function, many do not understand what is necessary to reset the HPA axis. Most often individuals are provided adrenal support supplements, which are helpful but do not reset this axis. This is a key factor. Test for gut pathogens. So often those with autoimmunity are living with unrecognized gut pathogens. You know, parasites, protozoa, amoebas, infections, detrimental bacteria and many more. If this is the case and these are not recognized and dealt with properly, this is another area that will withhold your progress. Support your immune function. Often we are told that autoimmunity is an overactive immune system when truly this is a very week immune system that is simply stuck in either to high of a B cell or T cell response. By supporting immune function, you provide one of the underlying keys to your success. I typically assist my clients with this by using a liquid emulsified form of vitamin D with other essential co-factors. Significantly reduce or preferably eliminate your chronic inflammation. Many with autoimmunity do not even recognize they are chronically inflamed and I can share that I have never seen a client with and autoimmune condition that is not also dealing with chronic inflammation. They go hand in hand. When addressing this though, it is a essential to first address the steps above, be aggressive with the anti-inflammatory protocols while also addressing the feedback loops that continue your inflammatory response. While it would be impossible to guarantee that following these steps will leave you free of Hashimoto's, I can easily refer to what I mentioned at the onset of this article. I have personally seen clients with thyroid peroxidase levels near 100, above 300 and even above 500 actually find themselves in normal ranges and even falling below 10. This to can be you! When I posted on Facebook last week that I was going to write this article one of my clients quickly responded with this, "When I first started working with Glen Depke I was diagnosed with Hashimoto's. With Glen's assistance, lifestyle changes, and supplements I was able to get my thyroid back into balance!" Thank you to who shared this, I always appreciate support from my clients! If you are wondering if Depke Wellness is the fit you are looking for, we always offer a complimentary 20 minute in office, phone or Skype session for perspective new clients. This way your initial investment is ONLY 20 minutes of your day. I'll share that this 20 minutes may actually change the rest of your life. Call (949)954-6226 or email jill@depkewellness.com to set up your complimentary consult today.